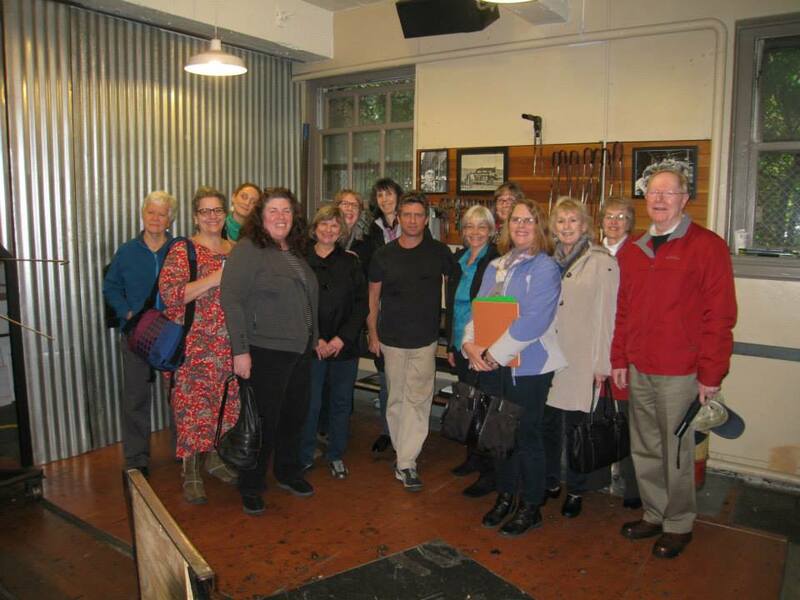 Seattleite recently paid a visit to Tacoma to discover what the City of Destiny has to offer residents of its neighbor to the north. 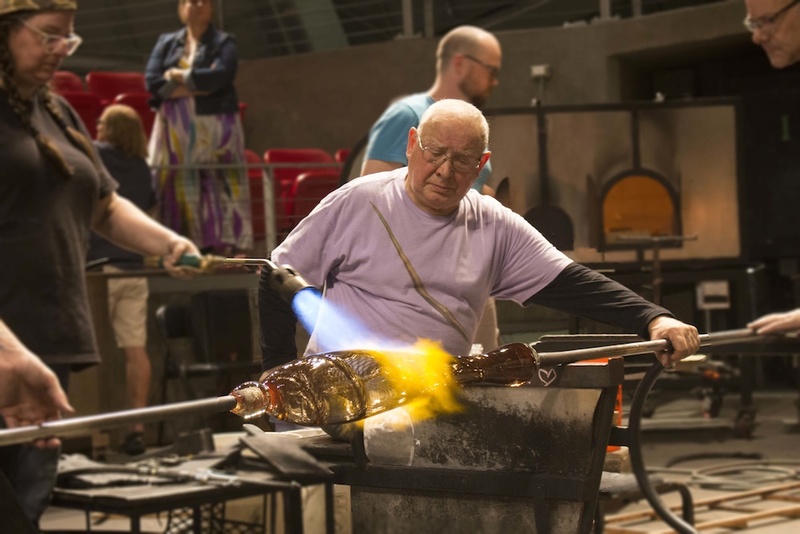 Whiting took time to explore Museum of Glass, Tacoma Art Museum, Harmon Brewing Co., and Hotel Murano for a well-rounded arts and craft brew South Sound experience. 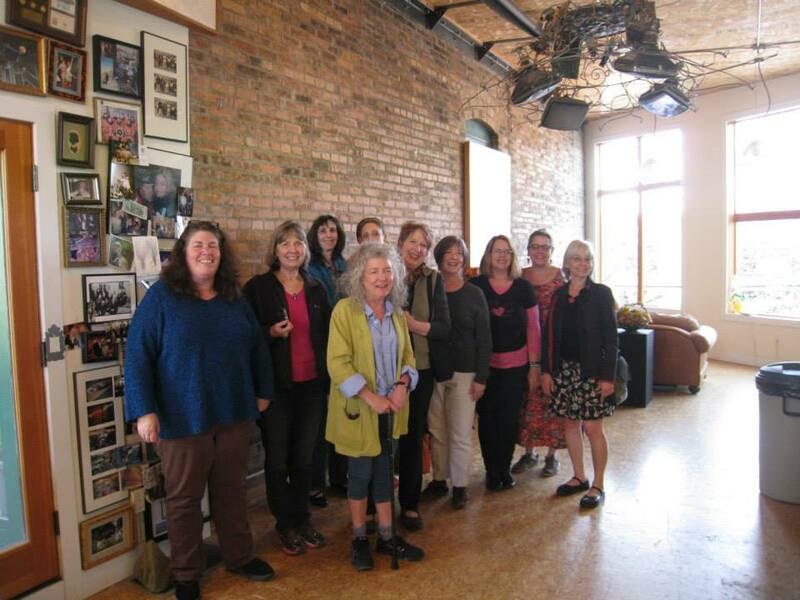 For more about Seattleite‘s weekend wanderings in Tacoma, click here. This entry was posted in Art, Museums, Travel and tagged City of Destiny, Corinne Whiting, Harmon Brewing Co., Hotel Murano, Museum of Glass, Seattle, Seattleite, Tacoma, Tacoma Art Museum on April 22, 2016 by Museum of Glass. 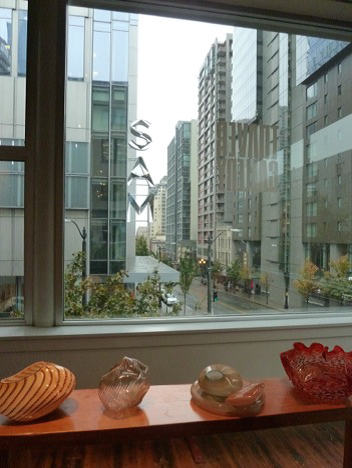 members (Elisabeth and Bonnie), and two guests made our way to the Traver Gallery in Seattle using our Sound Transit bus system. We did not all ride the same bus, and in fact, two didn’t ride the bus at all. For those of us who did, it was a lot easier than driving, once we had figured out which bus to take, where to park, etc. 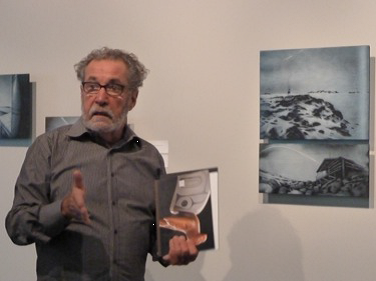 Bill Traver gave us an excellent tour of his gallery. 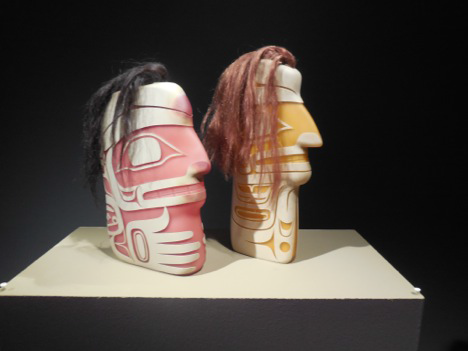 We went to see two of our favorite artists, whose exhibits were closing soon. 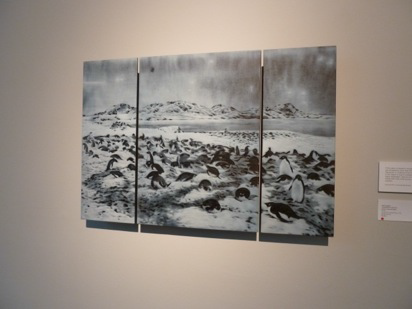 April Surgent spent time in Antarctica and used a time lapse technique with pinhole cameras to capture the light and ice and water and wildlife of the area. She then translated the images she captured into glass, using her unique technique of cameo carving into different colored layers of fused glass. She had made quite a few pieces for this exhibit and Mr. Traver told us each were sold already. 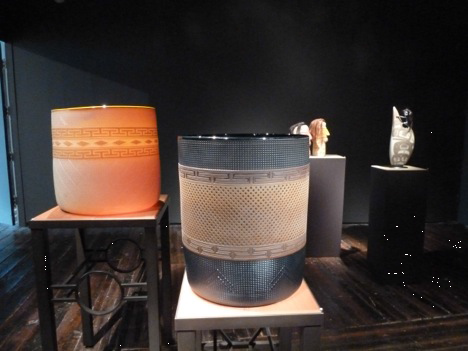 It was interesting to see other works in the Traver Gallery, from Chihuly, Nancy Callhan, and many others. 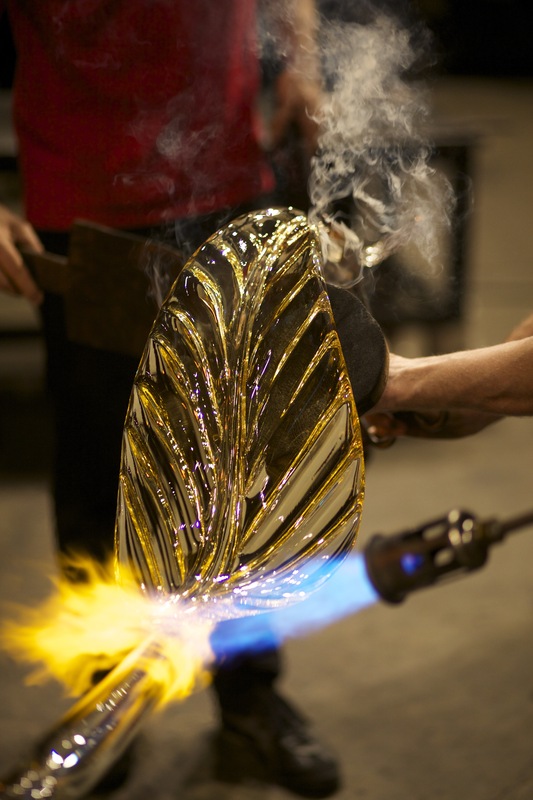 We were intrigued by fused cane works from Sean Albert. We also went downstairs and around the corner to the Vetri Gallery. 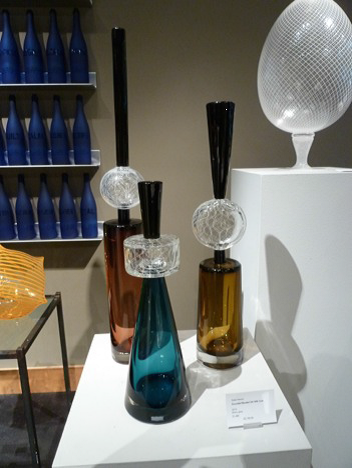 We saw some very nice pieces from Gabe Feenan, as well as many other nice works by different glass artists. I took these photos, with the exception of the one with the pink and gold heads by Preston. That was taken by Mary Robinson. After the galleries, most of us headed to Pike Grill Brewing Company for lunch and a chance to talk everything over. I learned a lot about Corning from Bonnie and her guest, Lee, who works there. The bus ride home was so much easier than a drive on I-5 south at that time of day. 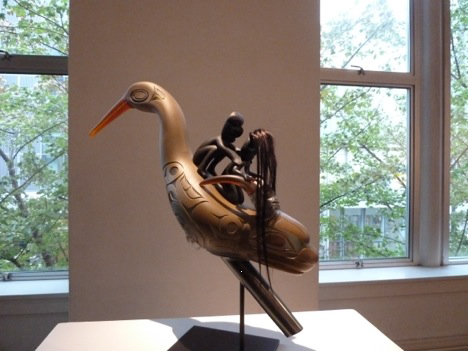 This entry was posted in Art, Artists, Exhibitions, Glass and tagged April Surgent, Bill Traver, Docent, Exhibit, Gabe Feenan, gallery, glass art, Made Gallery, Preston Singletary, Sean Albert, Seattle, Tour, Traver Gallery on November 7, 2014 by Museum of Glass. 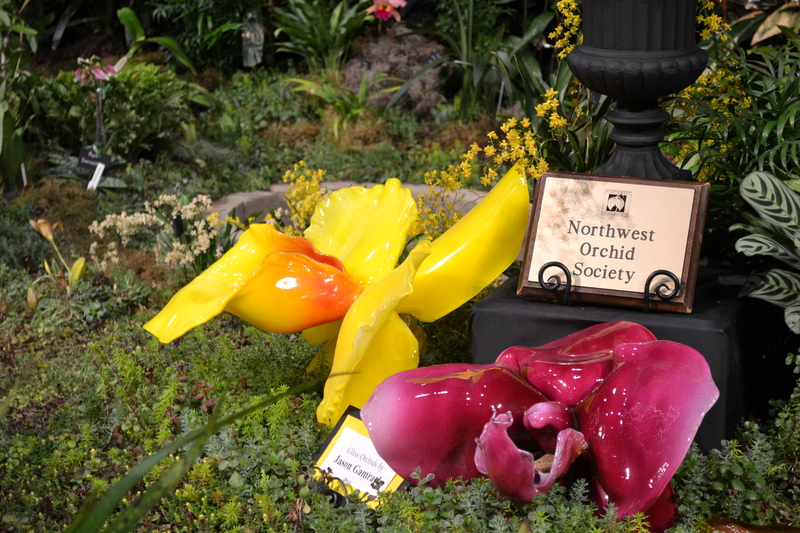 Earlier this month, the Northwest Flower and Garden Show debuted the Garden of Artful Delights, a unique collaboration between the Arboretum Foundation and Museum of Glass that paid tribute to artist Ginny Ruffner. 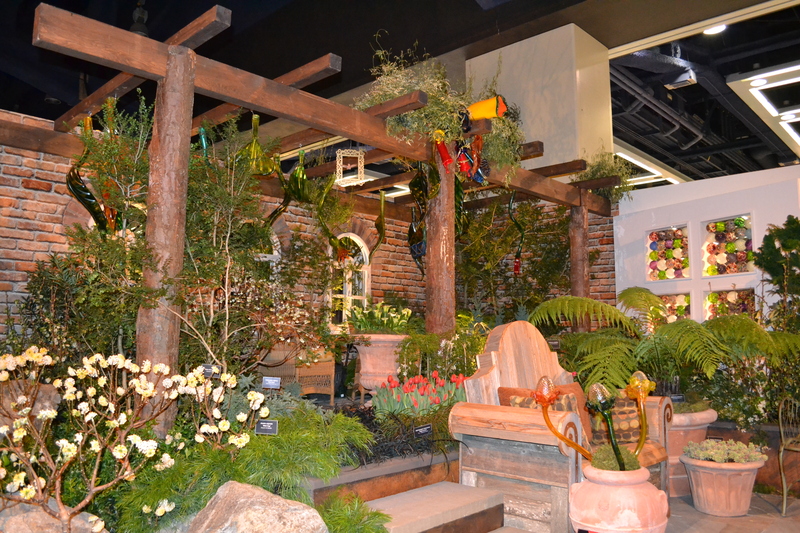 Among the many display gardens, this recreation of Ruffner’s own garden at her Seattle home featured glass art created by Ruffner during her January Visiting Artist Residency at Museum of Glass. Although many of the glass leaves hanging from wooden beams in the garden were crafted in the MOG Hot Shop, seeing the finished garden for the first time was truly fascinating. The Seattle Times’ Pacific NW Magazine described Ruffner’s home and garden as “a kaleidoscopic explosion of color,” and this recreation certainly captured that energy. 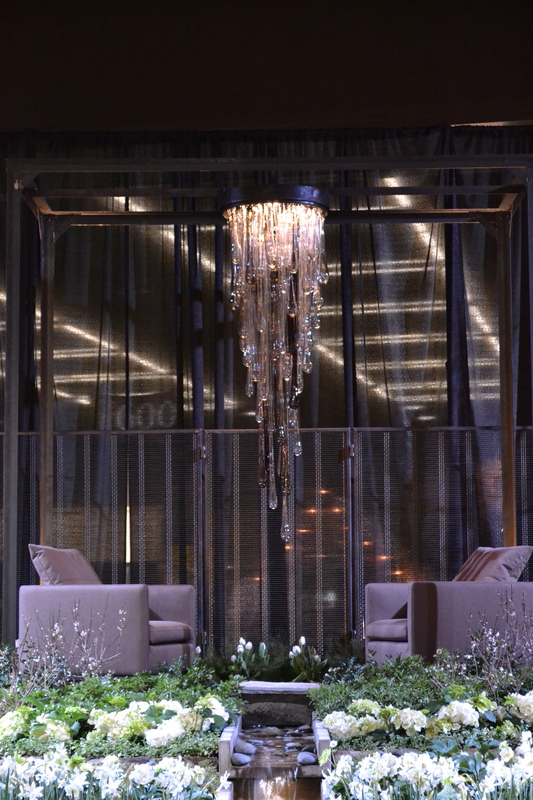 The flora provided a fragrant and colorful contrast with the glass leaves and flowers, yet the blend of glass and the different plants appeared very natural. While the presence of glass art in the Garden of Artful Delights was expected, the appearance of glass in other display gardens was a pleasant surprise. This entry was posted in Art, Artists, Glass and tagged Arboretum Foundation, Ginny Ruffner, glass, glass art, Hot Shop, Museum of Glass, Northwest Flower and Garden Show, Seattle on February 18, 2014 by Museum of Glass.